Even though Las Vegas is best known for The Strip, smokey, cavernous casinos and glamorous and thrilling shows, there’s another side that I had the privilege of exploring while I recently spent a week there working. 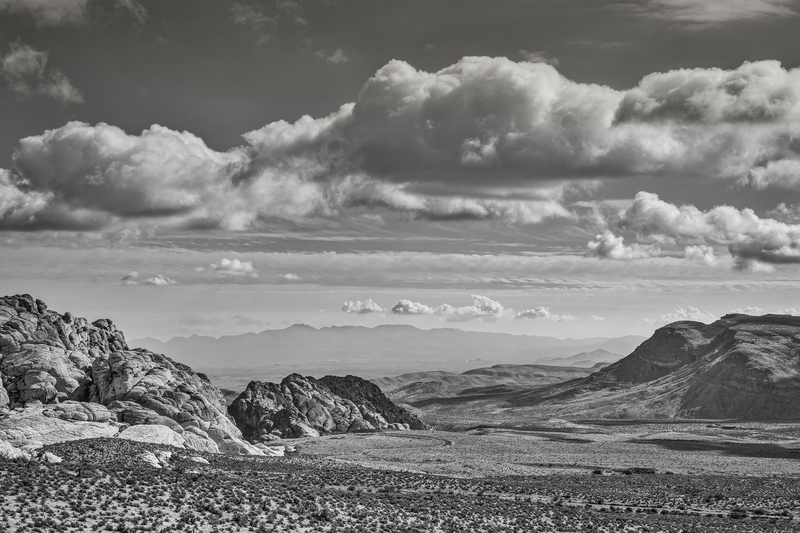 I managed to sneak off for a day with one of Las Vegas’ best professional photographers, Larry Hanna, who is as comfortable and experienced photographing the inside of the famous casinos as he is negotiating the precarious rocky trails in the desert. Along with my traveling companion Jo-Ann Schaudies, a lifelong friend and horse trainer from Maryland, we escaped the mind meld of Ceasars Palace, our home base for the week. The last time I was in Las Vegas, I traveled with Larry on a Visit to Nelson and the town of Techatticup, an abandoned mining settlement. 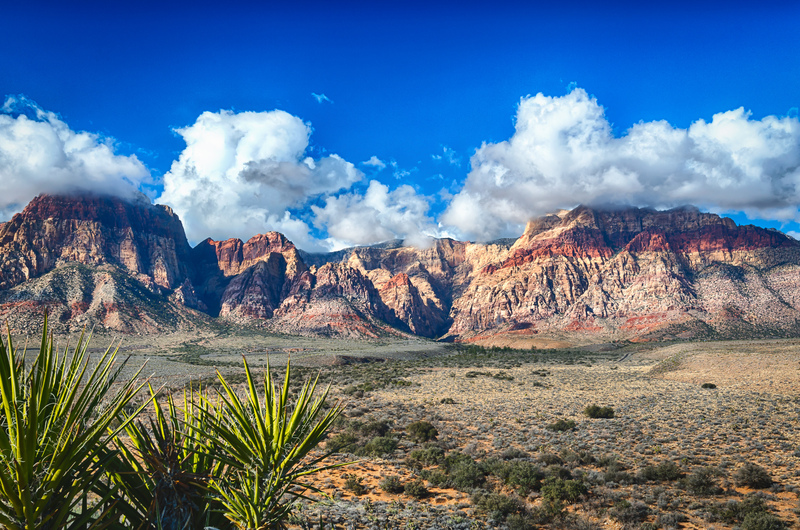 This time, Larry suggested the Red Rock Canyon National Conservation Area, which is a remarkable park just 17 miles west of Las Vegas. 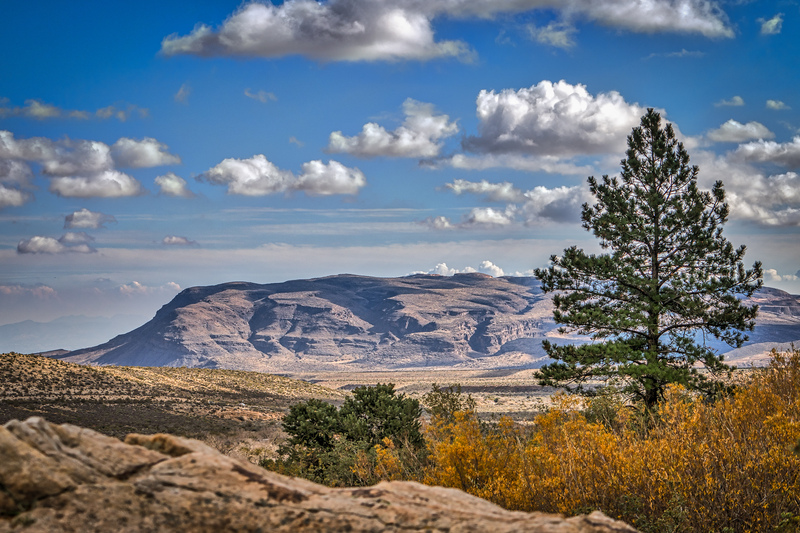 It’s nearly 200,000 acres of desert wilderness, frequented by a variety of wildlife and feral horses and burros. Unfortunately, we didn’t see any large animals, but the views and vistas more than made up for any longing I had to photograph horses or birds. My trips out West are relatively infrequent, so each time I go that feeling of being dropped onto an alien landscape returns. I find myself totally immersed into that photographer’s dream world, where each time you turn around you see yet another scene that must be captured, and it all just energizes you to create. On this trip I stepped out of my comfort zone. Instead of bringing my typical work equipment, I left my Nikon backup body at home and packed the Sony A7, along with the Nikon D800E. My carry-on was condensed from a large roller bag to a backpack, which turned out to be a huge bonus since one of my flights included a downsized airplane. The Sony A7 proved extremely functional for some of my work images (and parties! ), shot indoors with the Zeiss 35mm f2.8. With a bit of noise reduction in Lightroom, they were perfectly acceptable for the magazine, even shot at ISO 6400. The D800E and Nikkor 24-70mm f2.8 remains my workhorse for the awards presentations, shot on a stage and under lights, and, again, it performed perfectly. Out in the desert, I carried both cameras, using the new Zeiss 70-200 f4 that I’d purchased for the Sony just before leaving for Vegas. I’m really becoming more enamored with the Sony cameras, and I could see myself one day maybe letting go of the Nikons…but time will tell. It’s hard to imagine really saying good-bye to a partner you’ve had for more than 25 years! These images were edited in Lightroom and MacPhun’s Intensity Pro and Tonality Pro. Even though I’m pleased with how these came out, I will have to admit that the photos just can’t quite do justice to actually standing on the desert floor and gazing up into these stunning red peaks with the puffy white clouds and the deep blue sky. It’s enthralling. I love traveling, visiting friends and attempting to bring home some of what I’ve seen. The beauty of photography is that even if an image doesn’t quite capture the place exactly, it will always remind you of the feeling of the moment. 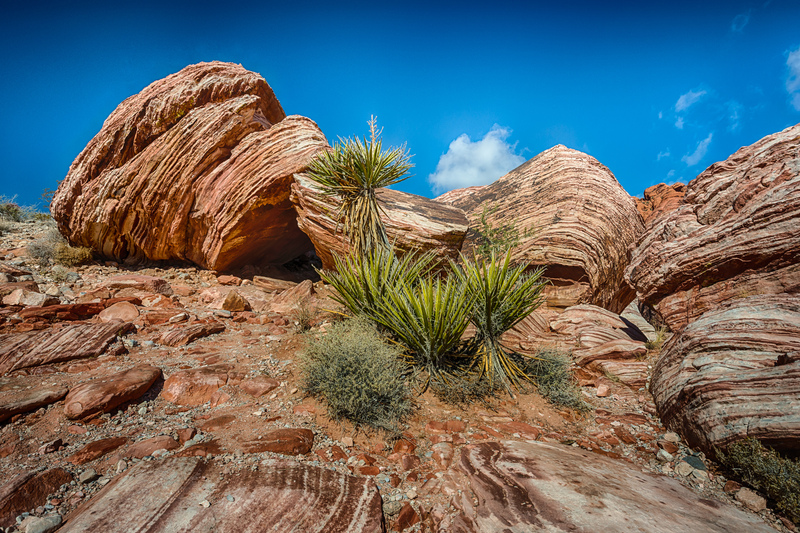 I love this Red Rock Canyon hiding in plain sight just outside of Las Vegas. I have wandered there many times enjoying the solitude and beauty. Your photos capture the area perfectly! The next time you are in the area, consider traveling a little further (my memory says about 2 hours) to visit Valley of Fire State Park. Happy Holidays! Thanks, Patti! Valley of Fire was also on our list, but we decided to save it for the next time when I had more time to spend. I can see why you like it there in Red Rock Canyon. While there were lots of people, it wasn’t difficult to take a trail or find a place that was more secluded. I hope you have a wonderful holiday season as well! Thank you, HRCG! So glad you’re enjoying your Sony camera. I love mine and am looking forward to more work with it in the New Year! I forgot to add that I LOVE my Sony Cameras! I will check this lens out as I am looking at several different lens right now. Hi David! That’s funny. I guess we do need to keep one another posted on our travels since we just might cross paths one day! I don’t make it out West all that often, but each time I do I’m reminded about how great it is to see such different landscapes. I would like to spend more time out there checking it all out! I’m glad a bit of the beauty came through! It really is an amazing place to visit.